Influenza seems like it hits around autumn and winter every year, but this virus can be found year-round. Flu season refers to the time between December and February when flu activity is at its peak. The unpredictability and complications that can arise from catching the flu make it essential to protect yourself from the virus. 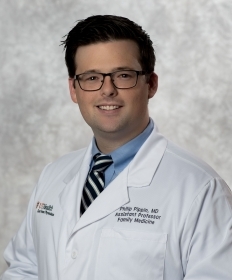 “Flu can be deadly even for healthy adults, and you can catch it even from one exposure to a stranger,” says Dr. Philip Pippin, family medicine physician at UT Health East Texas. Here are answers to some of the most frequently asked questions about the flu. If you do catch the flu, expect to experience symptoms two days after exposure. Symptoms can be similar to a cold, but will come on more suddenly. These symptoms include fever, coughing, sore throat, runny nose, muscle or body aches, headache and fatigue. It is also possible for children with the flu to experience vomiting and diarrhea. These symptoms usually last two to five days, but Dr. Pippin says it is also possible for the flu to last more than a week, especially if a complication develops. To lessen symptoms and shorten sick time, you may take antiviral drugs such as oseltamivir (generic or Tamiflu), peramivir (Rapivab), and zanamivir (Relenza). These can shorten symptom time by one or two days. Before taking any antiviral drugs, be sure to consult your physician. The flu shot varies in effectiveness every year, but this should not be a reason to avoid taking the shot. Getting the flu vaccination can cut symptom time down to zero. 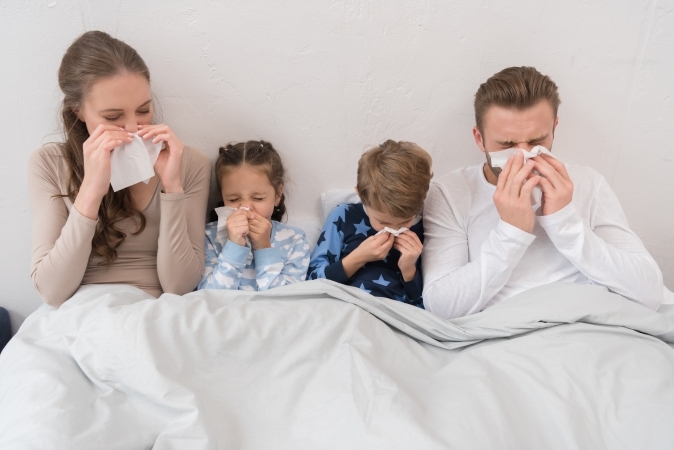 “In the case of still getting sick after the flu shot, the illness tends to be shorter and less likely to lead to a complication such as hospitalization,” says Dr. Pippin. It’s also a good idea to get the flu shot to protect those around you that are more vulnerable to the virus, including children, the elderly and pregnant women. It’s not too late to get the flu vaccine. Call your nearest UT Health clinic and ask to get vaccinated!